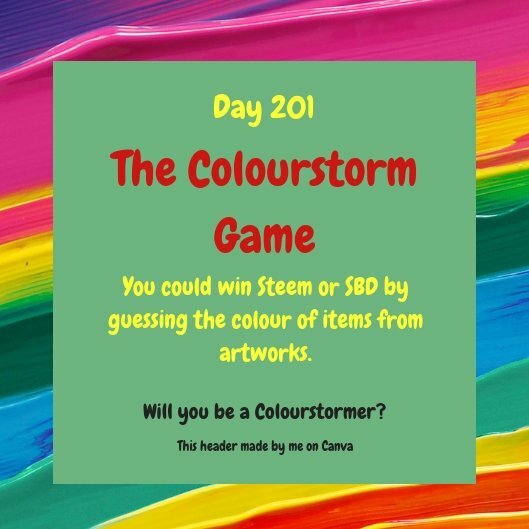 Welcome to The Colourstorm Game, an easy colour guessing activity where you can win Steem or SBD. The Colourstorm Game #201 starts now. I choose an artwork by an artist (usually myself). Above is today's artwork in Grey Scale. 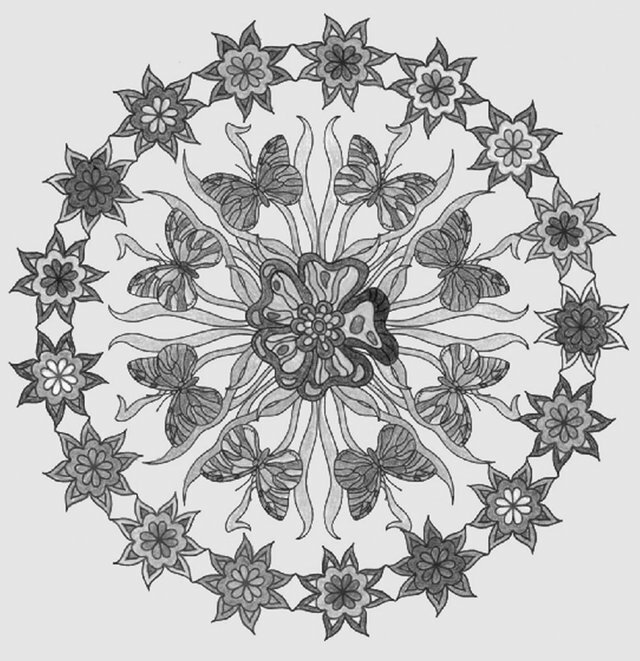 Above is the detail from the artwork that I have chosen. At the end of 7 days, I will publish the artwork in colour and award the payout to the entrants who guessed the colour correctly. Some entrants may know the answer, some may find the answer online or in a book and some may just take a guess. That is all fine! If you 100% upvote and resteem this post the payout is increased. Leave your chosen colours in the comments section. You can enter once each daily contest. After 6 days, your entry can't be accepted. 50% paid to the entrant who chooses the correct colour. If more than one entrant chooses the correct colour, the 50% prize will be split among them equally as long as they gave 100% upvote. Entrants who give a lower percentage will get a scaled payout. All artwork in this post is my own. Thank you for playing this game! The result will be announced after the payout.